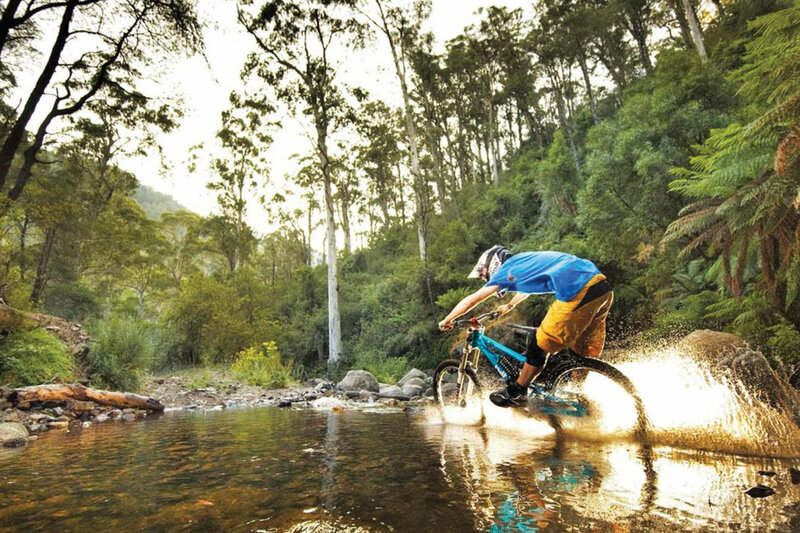 The Victorian High Country is Australia’s leading region for mountain biking. Bright, Mt Buller, Falls Creek, Mt Beauty, Dinner Plain, Beechworth, Yackandandah and loads more; each and every one of this cluster of bike-friendly towns is a mountain biker’s paradise in its own right, but when you bundle them up together in a road trip, you’ve got something truly incredible.  What makes the north-east of Victoria really standout is the quality and diversity of experiences on offer; whatever your skill level, whatever flavour of mountain biking you like, you’ll find it here. Craft yourself an itinerary that suits your style, or just go all-in with a region-wide road trip, hitting whatever bit of trail you find yourself pointed at. As you hop from town to town, you’ll discover everything from all-day backcountry epics, through to gnarly downhill runs, to mellow cross country riding. Literally the entire spectrum of mountain biking is there to be sampled. 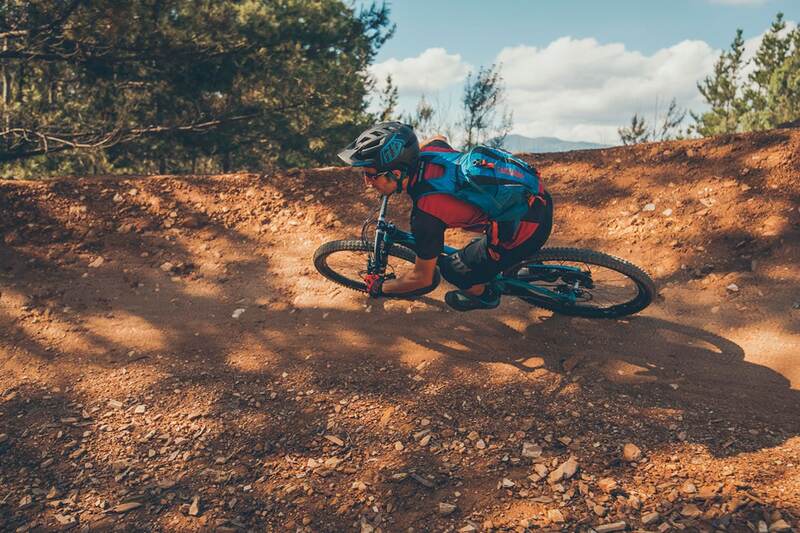 You’ll meet seriously passionate communities of mountain bikers too, all supported by some of the best mountain bike infrastructure in the country. Top quality bike shops are everywhere to keep you rolling, you can find local shuttle operators if you’re not keen on the pedal up, the trails are signposted and mapped across the whole region so you’re never wasting time lost in the bush, and there’s bike friendly accommodation aplenty. Oh, and the breweries are nearly all run by folk who mountain bike too, so they understand how important re-hydration is to your mountain bike road trip. From the stunning peak of Falls Creek, way above the tree line, you kick off this epic downhill by barreling straight into the rocks and twisted snow gums of High Voltage. The berms of and chunky granite of Wishing Well connect you through to Falls Creek’s newest monster descent, Flowtown. This insanely cool rollercoaster just keeps on giving, picking up speed as you carve towards the gates of the village, where you pop out to meet the shuttle trailer waiting to take you up top again. With over 1000m of vertical, blitzed at face warping speed, this descent is what big mountains are all about! Beginning with a mellow run out of the village down the flowing Gang Gangs, this ride lifts its intensity in a big way once you turn down the Delatite River Trail. Get ready to hit the kinds of speeds that normally require an engine, as you charge down some of the fastest fire-roads out there, picking your line through shaken eyeballs and launching waterbars like an astronaut. Things mellow out as you reach the iconic log bridges across the river, a perfect wind down, before rolling into the pretty parklands of Mirimbah where coffee and cake awaits. The first trail of this kind on this scale in Australia, the new Hero Trail at Bright is revolutionary for the Australian scene. 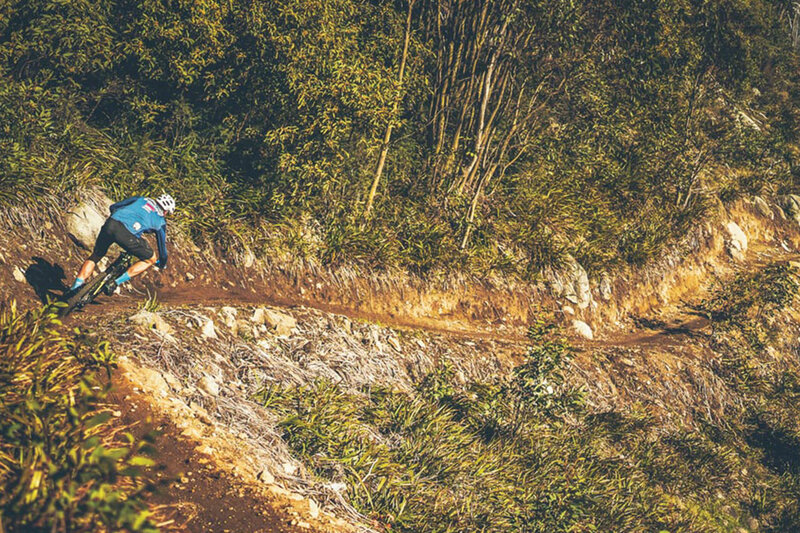 It’s a proper, gravity-fed jump trail, and you clock some serious air miles on this one! You can pedal to the top of Mt Mystic on a perfectly built climbing trail, or shuttle up too if you want to keep the legs fresh. There are some whopping jumps on this one, so we recommend a sighting run first, but once you’ve got it dialed in your mind will be blown as you literally fly down the hill, all the way back to the Bright Brewery by the river below.